Comments Artwork by François Schuiten. 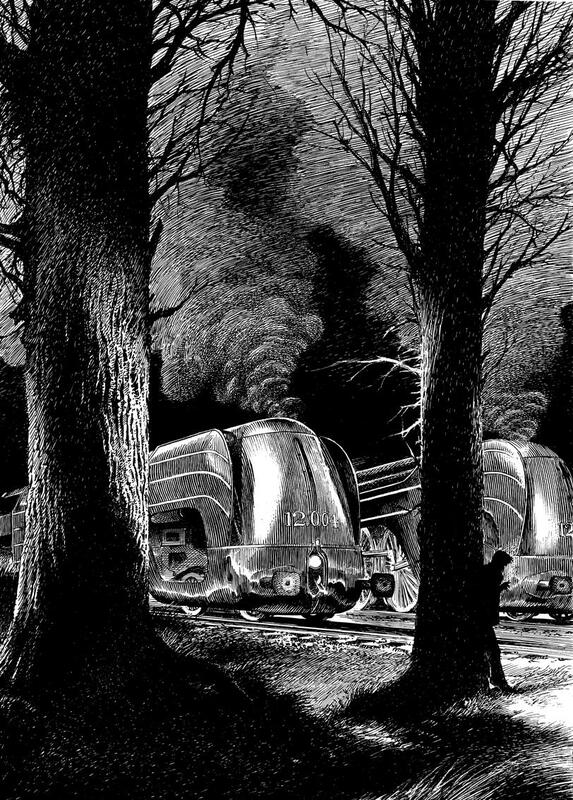 Sold by Huberty & Breyne during the Schuiten & Obolensky: Trains expo in Brussels for 14.000 euros. This image is also available as postcard (10x15cm).